This signal box is on the other side of the road to the railway station at March. This box is still open in (2013) It is built in brick and is built high, so as to give a good view of the station and the goods loops and yard to east of the station. It controlls a set of lifting barriers on a busy road and points and signals. 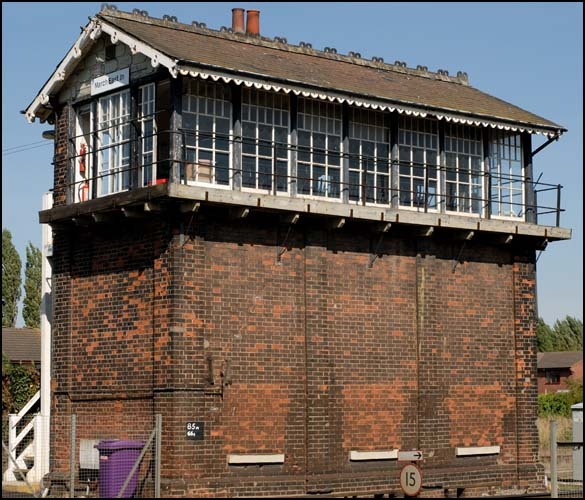 This signal box was raised to its present height in 1897, and it has 61 levers. This box took over some of March West signal box area, when that box was closed in 1987. At that time the frame of this box was relocked so it could take over March West signal boxes points. 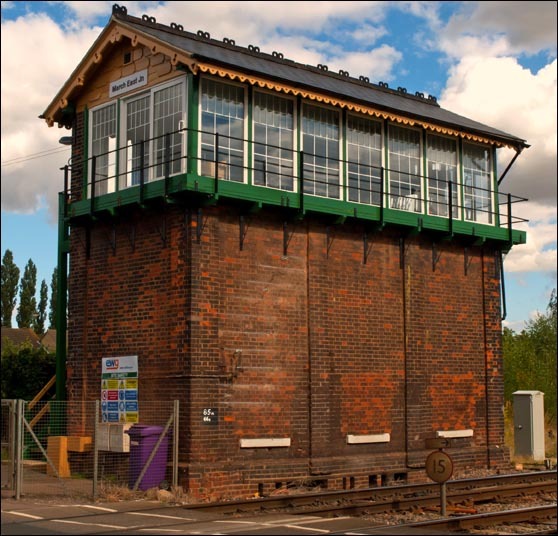 During 2012 the East Jn (Junction) signal box had a make over. The box has had new windows and a new part on the rear. The wooden steps had new wood fitted as and when required. 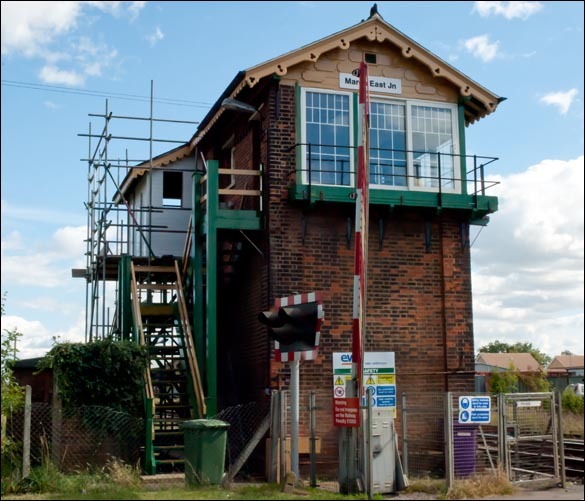 The East Jn (Junction) signal box on the same day in 2012. Signal near to the footbridge at the end of platform 2 at March Station in 2002. This signal has now been replaced with colour lights. This one looks to be a bit of a stop gap.